We’re moving right along with our little house tour. 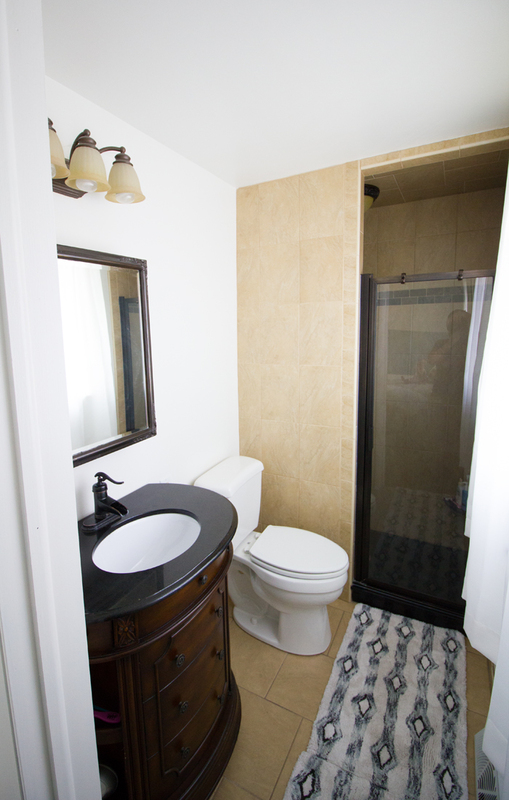 This time we’re taking a look at our master bathroom, which is still very much in “BEFORE” status. Pretty much the only change we’ve made in this room is painting it from beige to white (Sherwin Williams “Snowbound” like the rest of our house). We hung some curtains (which still desperately need to be hemmed because they cover up the towel bar — even after having been up for a year!) and put down a rug, which is actually two rugs sewn together. But we have lots more plans, which we shared in our master bath moodboard. 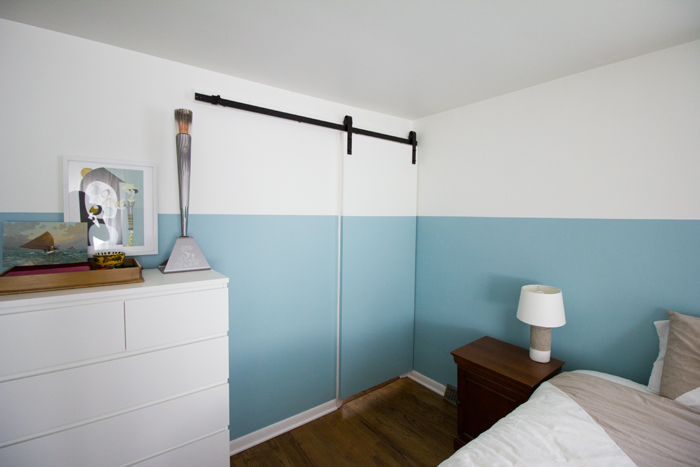 We also replaced the old accordion bathroom door with this new, modern farmhouse-style sliding door. This is one of my favorite DIY projects we’ve ever done. I love how it blends right into the walls! 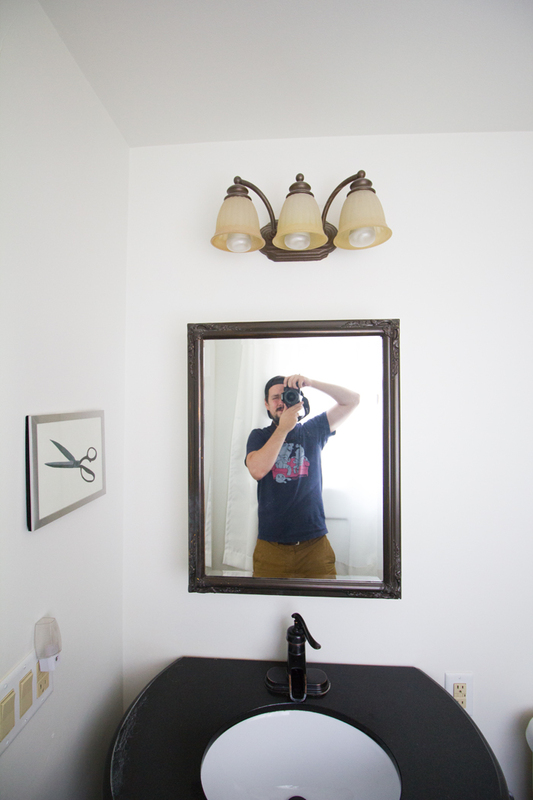 Our immediate goal is to replace the light fixture, mirror and vanity. Plus we really need to update the outlets and switches from beige to white! 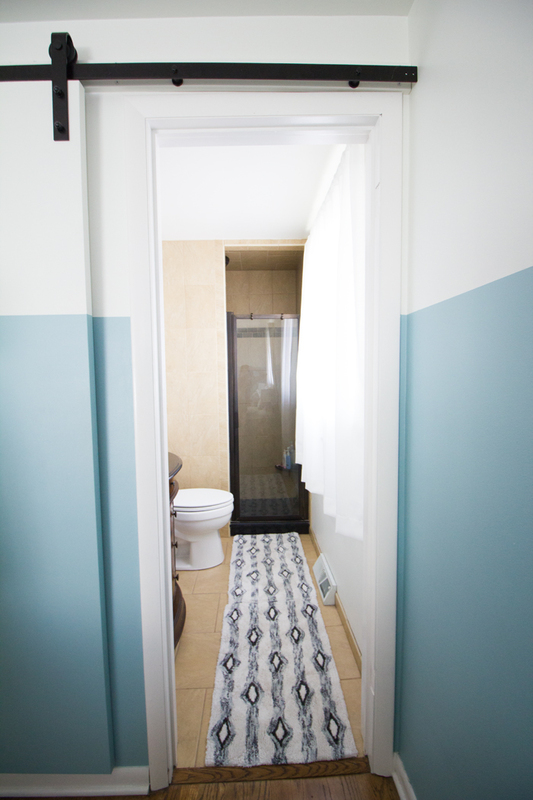 These simple changes will make a huge impact and really make this bathroom feel so much more like us. 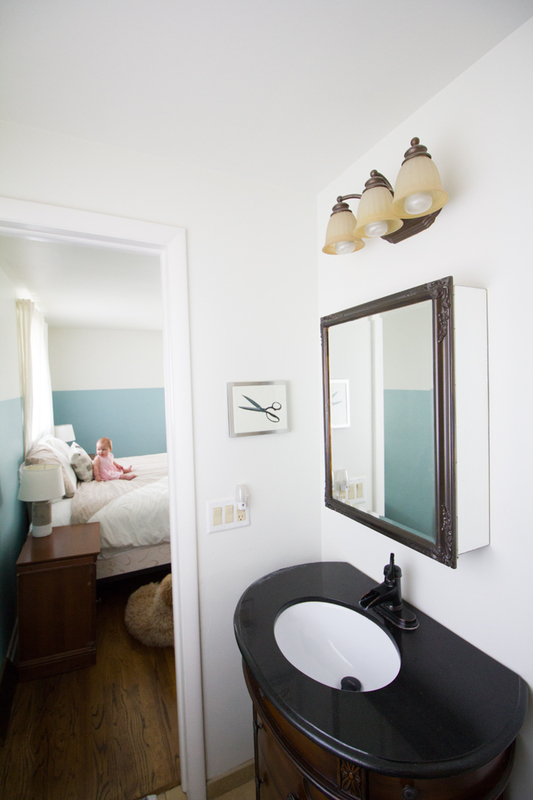 This bathroom was renovated pretty recently by the previous owner, so it doesn’t need any major changes, which is great. While the tile isn’t our first choice, it’s really well done for the style, so we plan on leaving it alone for a while … until we run out of other projects! !